The Los Angeles LGBT Center announced this week that legendary artist Macy Gray and comedian Fortune Feimster will perform at its annual An Evening with Women benefit on Saturday, May 21 at the Hollywood Palladium. An Evening with Women is both a star-studded celebration of women and a fundraiser for the world’s largest LGBT organization, featuring a cocktail reception, dinner, and live performances by internationally-acclaimed talent. Last year’s sold-out event included performances by No Doubt, Sia and Sarah Silverman. Additional performers and special guests for this year’s event will be announced in the coming weeks. Since 2009, the event – co-chaired by Linda Perry, Kelly Lynch, Annie Goto and Brent Bolthouse — has raised more than $4 million for the Los Angeles LGBT Center’s services specifically for women and girls. The Los Angeles LGBT Center is working to build a better world where LGBT people thrive as healthy, equal and complete members of society through programs that span four broad categories: Health, Social Services and Housing, Cultural Arts and Education, Leadership and Advocacy. No other organization does more for LGBT people. Tickets are now available for purchase at www.AnEveningWithWomen.org. Performers and special guests at previous An Evening with Women events have included: Christina Aguilera, Cyndi Lauper, Heart, Pink, Joan Jett, Ozzy Osbourne, Courtney Love, Camp Freddy, Cat Power, Juliette Lewis, Kat Von D, Aimee Mann, Wanda Sykes, Sarah Silverman, Kathy Griffin, Linda Perry, Evan Rachel Wood, Rumer Willis, 4Non Blondes, Margaret Cho, Milla Jovovich, Michelle Rodriguez, Gina Gershon, Ellen DeGeneres, Sharon Stone, Renee Zellweger, Billie Jean King, Melissa Etheridge, KD Lang, Lily Tomlin, The Fosters’ Sherri Saum and Teri Polo and more. An Evening with Women’s 2016 Presenting Sponsor is Toyota Financial Services; Diamond Sponsor is The Annenberg Foundation; Platinum Sponsors are The Ariadne Getty Foundation and Wells Fargo; Gold Sponsors are American Airlines, Anita May Rosenstein Foundation, CBS Diversity, Foley & Lardner LLP, Herbalife Nutrition, Pauley Perrette, and Pond North LLP; Silver Sponsors are Bank of America, BNY Mellon Wealth Management, Erika Glazer, KPL Select Mortgage, Hollywood Forever, Merrill Lynch, Morgan Stanley, OUT@Warner Bros, Ralphs/Food4Less, U.S. Bank, & U.S. Trust. ; and Contributing Sponsors are Frontiers Media, Lesbian News, Perrier, The Advocate, and Pride.com. 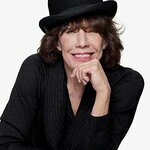 Lily Tomlin Invites You to "Wait Wait Don't Kill Me 2!"